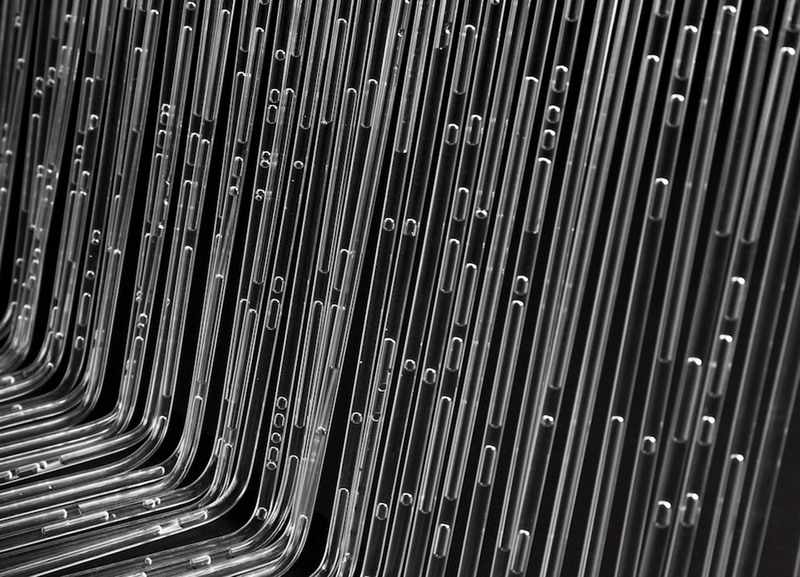 ISSEY MIYAKE / MILANJourney of a Raindrop -The strange attraction of water- | News | ISSEY MIYAKE INC.
Jólan van der Wiel leads a collaborative design practice that conducts artistic experiments in multiple environments. His creative explorations result in original design tools, new materials and unique objects. Jólan van der Wiel established his multidisciplinary practice in 2011 in Amsterdam and now in Zutphen. Starting from his personal fascination with extreme natural phenomena, he creates unusual shapes and materials that challenge our understanding of “invisible” forces. To achieve this, Van der Wiel works closely with architects, scientists, fashion designers, brands and institutions, such as Iris van Herpen, Benthem Crouwel Architects, Volvo Car Group and Dom Perignon. His work has been exhibited internationally from China to the US, including recent shows at the Metropolitan Museum of Art and the Cooper Hewitt Smithsonian Design Museum in New York City. His best-known piece, the Gravity Stool, is part of the permanent collections of the Vitra Design Museum and the National Gallery of Victoria Australia. 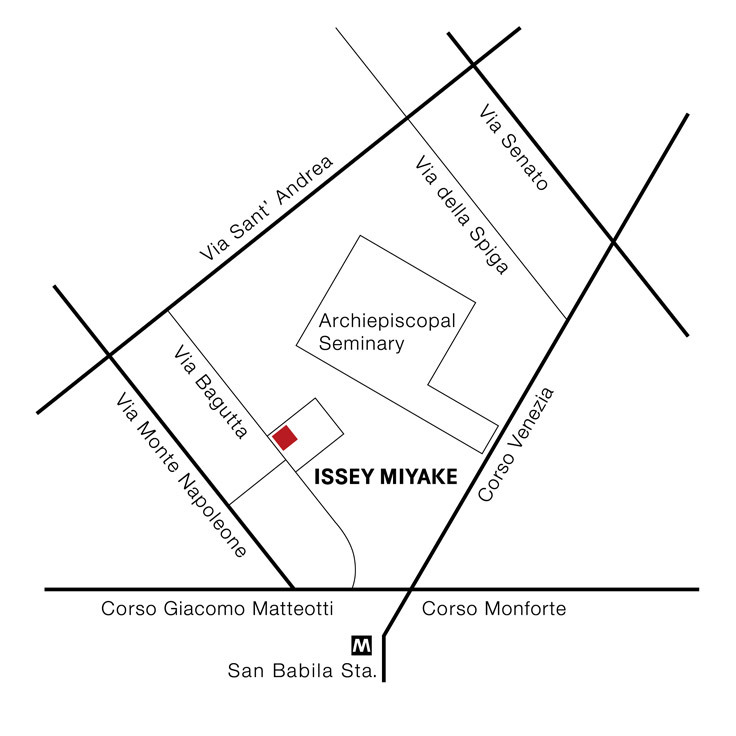 ISSEY MIYAKE opened its first flagship store in Italy on March 15th, 2017 at Via Bagutta 12, in the Quadrilatero district of Milan. 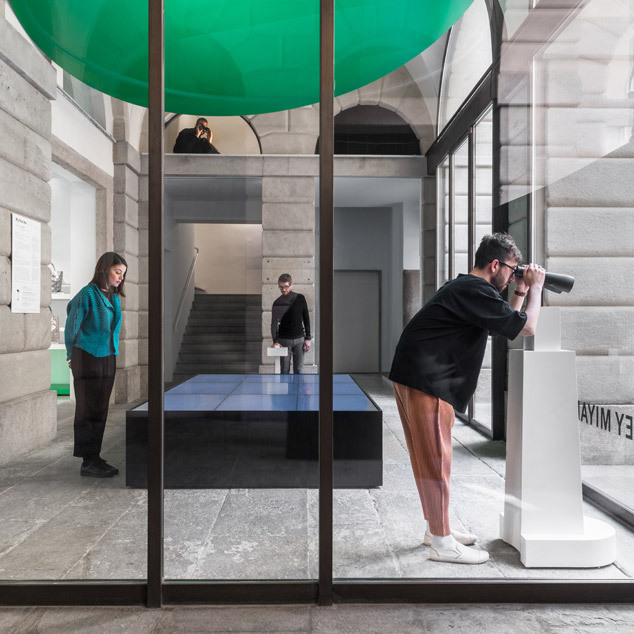 The store sits inside Palazzo Reina, an historic mansion built in the 19th century that has been faithfully restored with an approximately 500-square-meter store space designed by Tokujin Yoshioka.